Can you guess what’s staying and what it going? 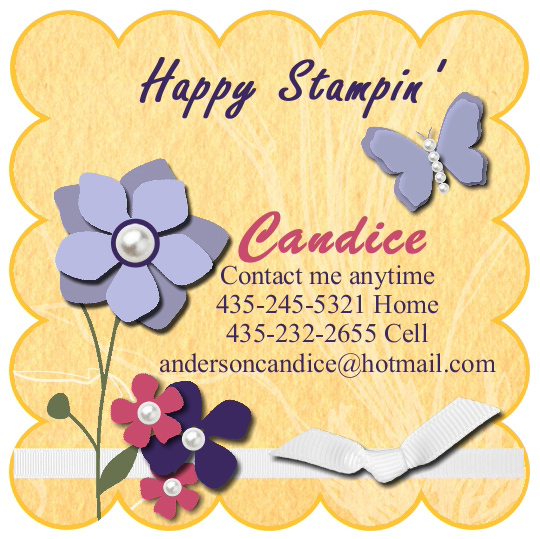 This is a card made by a friend of mine at a recent Stampin’ Up! event that I went to. I just love it. The products she used are in the current spring catalog. Can you guess which ones will be going into the new catalog. Leave your guess in the comments section and I will pick one random winner and send them a gift. Guesses must be made by May 30th. 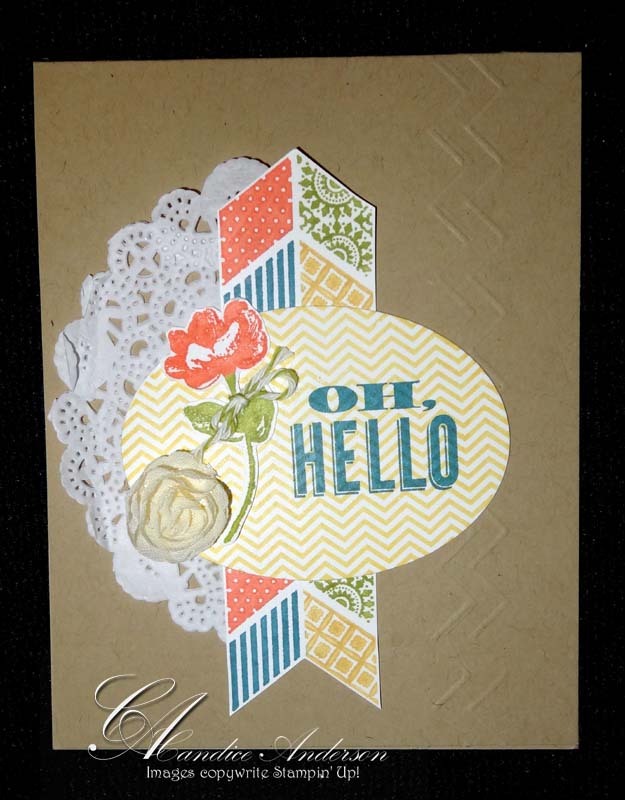 I’m guessing the simply scored border plate, paper doilies, and the Oh, hello stamp set.